with a splendid motoryacht or an awesome gulet combines the best of both worlds such as exotic destinations in sunny mediterranean coastline yachts charter, pampering privileged guests in utmost luxury yacht charter, privacy, together with a private cuisine and meals created for you and your loved ones, 24/7 attention in service, while enjoying the freedom to move around beautiful yacht charter bodrum bays and beaches that no holiday resort or hotel can possibly give you. Constellation Yachting is proud to offer you access to the global network of more than 2.600 yachts with a flavour of the amazing variety of super luxury yacht charter in Turkey available for yacht charter through constellation yachting, we have a made a small selection of some of the most beautiful luxury yachts in 3 different categories for luxury yacht charter. 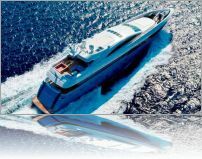 we can offer you any luxury yacht charter available for charter anywhere in the world. 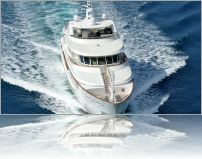 Contact our experienced brokerage team to help you find the perfect luxury yacht charter for you. 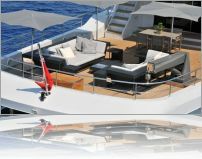 You will also find another range of fun choices on board a luxury yacht charter Turkey. The amenities and the water toys such as Kayaks, windsurf, waterski, jet skis and diving equipment to name a few. These are often available for your entertainment. 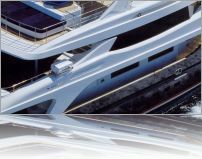 the larger super yachts may even accommodate a helipad, submarine bay, a gym or a cinema. speed boat (tender) which can take guests for water skiing, and take passengers ashore during the day, to the beach, or out to enjoy a meal or other nightlife.